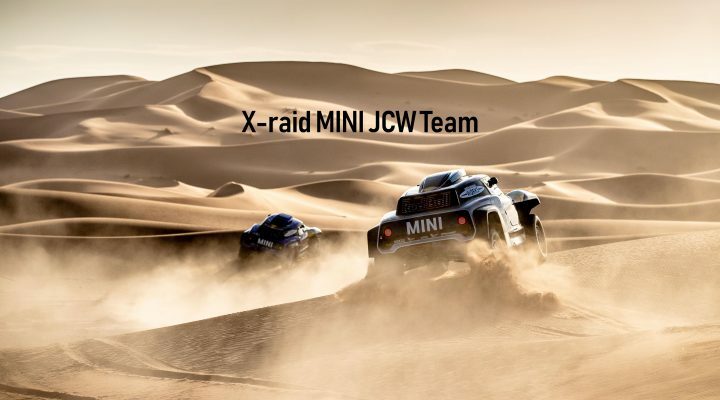 Lady Luck deserted the X-raid MINI John Cooper Works Team today. Cyril Despres and Jean-Paul Cottret (both FRA) finished eighth on stage nine. The two Spaniards Carlos Sainz and Lucas Cruz are ranked 41st after a time penalty. Meanwhile, the 2019 Dakar came to a premature end for Stéphane Peterhansel and David Castera (both FRA). Sainz and Cruz lost power steering in yesterdays stage. The team worked all night in the steering area to get the car fit for the ninth stage. But even in the morning problems arose which the team was fortunate to solve. Sainz and Cruz started the stage about three hours late and receive a time penalty from the race control. After a big impact 26 kilometers into stage nine, co-driver David Castera complained of bad back pains. The Frenchman is currently on his way to the hospital in Lima. Stéphane Peterhansel is unhurt and was able to bring the car back to the X-raid service park. “We came over a dune and landed head-on in the next dune,” explained Peterhansel. “Everything happened so quickly that David, who was looking at the road book at that moment, was not expecting the impact.” In the course of the evening, however, there was already good news from the hospital in Lima. The X-raid team doctor reports that David Castera has only a contusion of the spine. No bone fractures were found in the spine. In addition, there were no injuries to the capsule ligament. The injuries will heal without consequences. The 2019 Dakar bows out tomorrow with the final stage from Pisco back to the start city of Lima. The competitors must first complete a 112-kilometer loop around the bivouac in Pisco. They then head into the Peruvian capital, where the podium ceremony will also take place. Please visit our press gallery or the Red Bull content pool for high-resolution images.